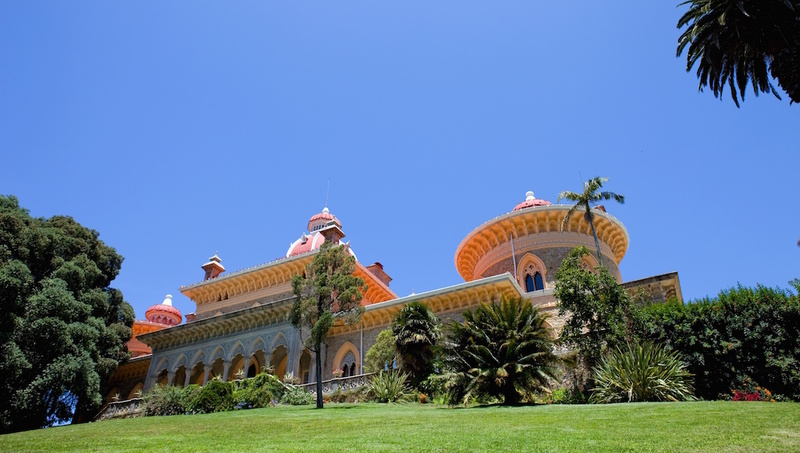 This beautiful town just along the coast a short distance from Lisbon is filled with history and sightseeing at every turn. A visit, whether as part of a longer stay in Portugal or a destination in its own right, will keep you busy with its charming sights. This hotel is located within a historic palace, which dates back to the 18th century. 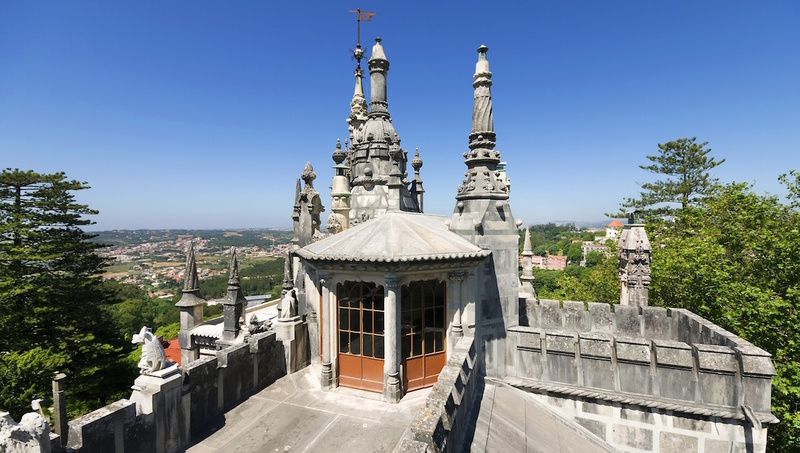 This spot offers amazing views across the Moorish Castle and Pena Palace from the hillside. This medieval castle is one of the reasons this beautiful region is a UNESCO World Heritage Site. Peaceful year-round, this is a good place to get away from the busy town. Like something from a Tim Burton movie, this estate is breathtakingly ornate. Don't miss the initiation well or the aquarium for a really special attraction. This colorful site looks most impressive on a sunny day, when its yellow, pink, and terracotta facade is particularly vibrant. An adult ticket for the palace and park is €14. An exotic villa with tropical gardens that are worth walking around, even in the sun and heat. The buggy tour offers a more sedate way to see the site without the legwork. 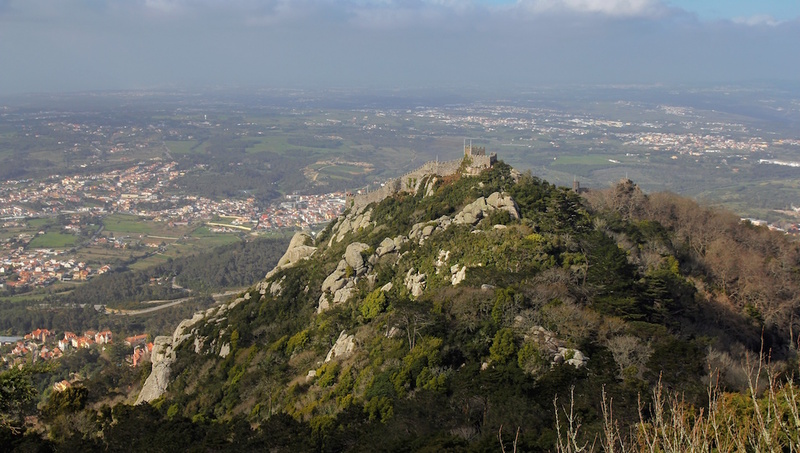 Known locally as the Serra de Sintra, this 10-mile range is popular with rock climbers, as the western face is bathed in evening light. Also suitable for walkers and explorers. 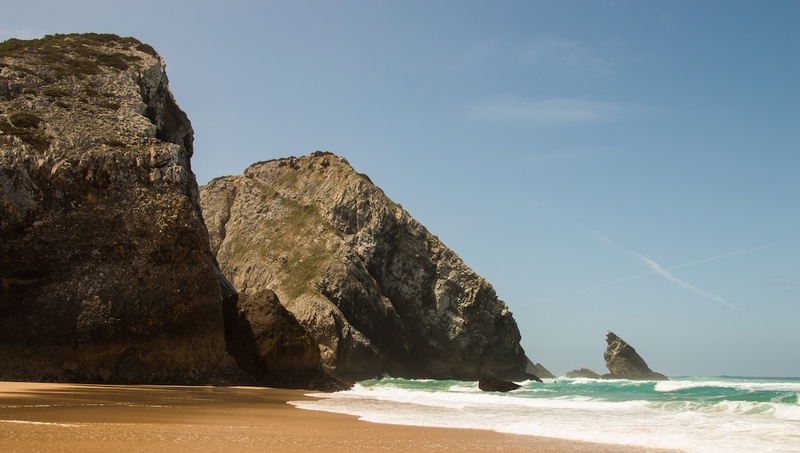 This beautiful beach is often voted one of the best in Portugal, and is many locals' choice over closer strips. A 7.5-mile car journey away from town, it's a favorite with surfers. 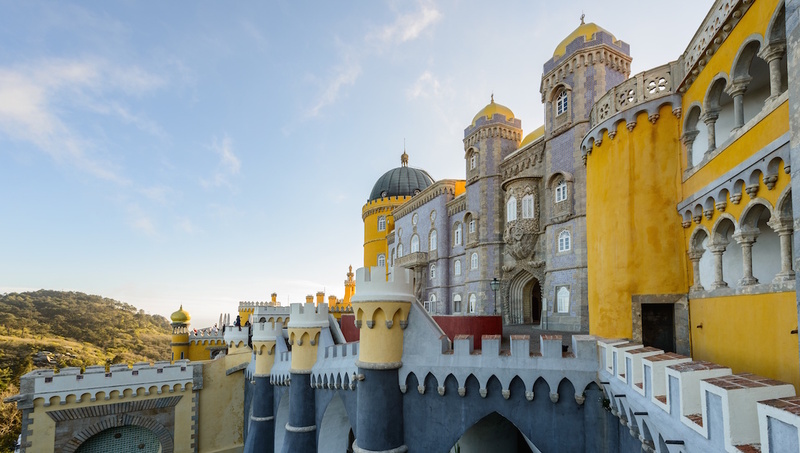 Sintra offers good weather year-round, but the best times to visit are spring and fall, when you can avoid the crowds and extreme temperatures of the summer season. A few days in Sintra is enough to see the sites, then add as many days as you want to relax on the beach. 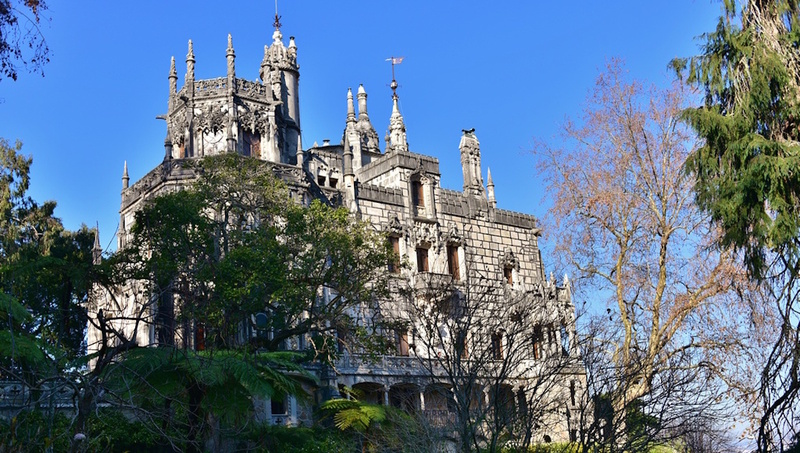 It's very easy to get to Sintra as part of a longer trip to Lisbon. The trains are quick, regular, and cheap. The area offers a historic, quiet alternative to Lisbon's bustling center, and the beaches are prettier and calmer. You can also rent a car to get there for relatively cheap--book online for the best deals. 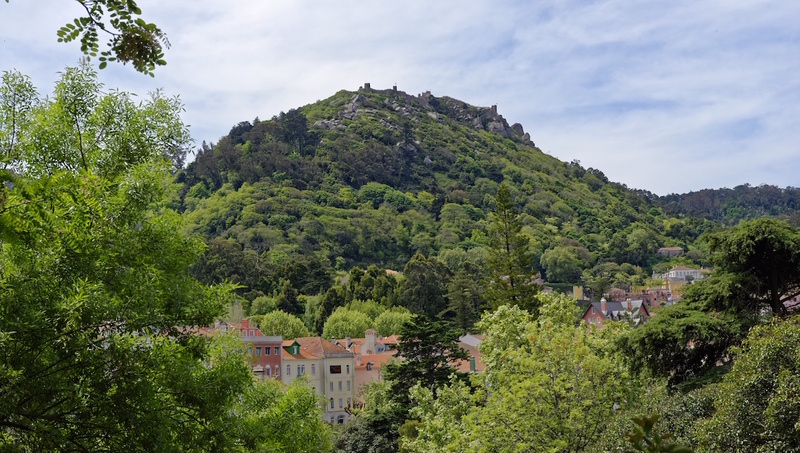 Sintra tends to stay cooler than Lisbon because of the elevation and the abundant shade provided from the lush landscape -- so even summer isn't unbearable. Weekdays are better than weekends to visit the sights and avoid the traffic congestion through the narrow and steep streets.